A: I know how hard it is to kick a habit but you must cut out smoking. You have breathing problems. الف: من می دانم ترک عادت جقدر سخت است ولی تو باید سیگار را ترک کنی. مشکل تنفسی داری. B: You’re right. I must kick the habit. ب: حق با توست. من باید این عادت را ترک کنم. A: I’m trying as hard as I can but my English doesn’t improve. I think I’m wasting my time. الف: دارم نهایت تلاشم را می کنم ولی زبانم پیشرفت نمی کند. به نظرم دارم وقتم را تلف می کنم. B: you’re mistaken. You’re not wasting your time. On the contrary, you’re making a lot of progress. ب: اشتباه می کنی. تو وقتت را تلف نمی کنی. برعکس، داری خیلی هم پیشرفت می کنی. A: your new friend seems to be selfish and unfriendly. How do you put up with her? B: Contrary to what you think, she’s very kind at heart. ب: برخلاف آنچه که فکر می کنی او قلباً خیلی مهربان است. نکته: اصطلاح On the contrary به طور مستقل و به تنهایی به کار می رود در حالیکه Contrary to باید با یک اسم یا عبارت ترکیب شود. Definitions: If a word is on the tip of your tongue, you know you know the word, but you just can’t quite remember it at the moment. Her name is on the tip of my tongue. A: Have you lost my book? B: I’m afraid so. How can I make up for it? A: Come with me. I’ll give you a ride. الف: با من بیا. تو را می رسانم. B: Thanks a lot. I’ll make it up to you. ب: خیلی ممنون. برایت جبران می کنم. A: I‘m sorry. I bumped into your car. الف: ببخشید. زدم به ماشینت. B: It’s just a scratch. No big deal. 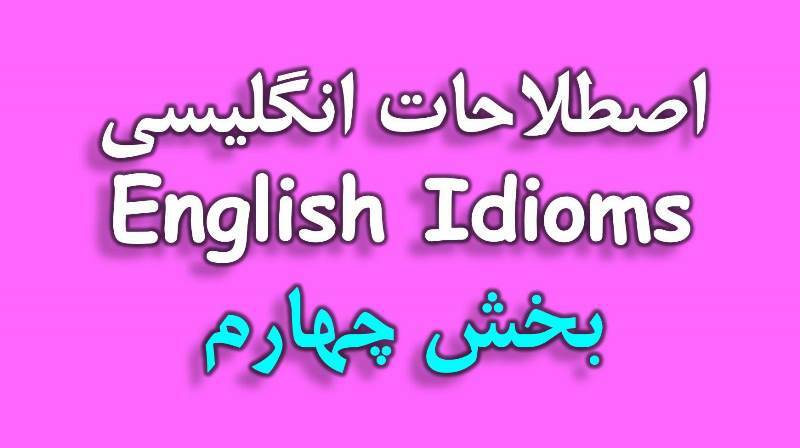 ب: فقط یک خراشه. چیز مهمی نیست. A: why are you cross with me? What have I done? B: Don’t you remember? You put me down in front of all my friends. ب: یادت نمیاد؟ تو مرا جلو همه دوستانم تحقیر کردی. A: Do you usually spend all your salary? B: No. I always save a little money / keep a little money /put a little money aside for a rainy day. ب: نه. من همیشه مقداری پول برای روز مبادا کنار میگذارم. A: I can’t figure out how john can keep his cool in difficult situations. الف: سر در نمیاورم جان چطور می تواند در موقعیت های دشوار خونسردیش را حفظ کند. B: Yeah. He never loses his temper. He has nerves of steel. A: You never do your job properly. تو هیچوقت کارت را درست انجام نمیدهی. B: Stop picking on me and mind your own business. A: I promise to be nice if you get back with me. قول میدهم اگر پیشم برگردی رفتار خوبی داشته باشم. B: Stop it! I’ve had enough of you. You make me sick. بس کن! به اندازه کافی از تو کشیده ام. تو حالم را به هم میزنی. A: I’m short of money so I’m working twelve hours a day. الف: پول کم دارم بنابراین روزی ۱۲ ساعت کار میکنم. B: Twelve hours a day! If you keep working like this, you’re going to crack up. A: Why does Alice want a divorce? B: She believes her husband is cheating on her. 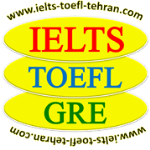 ب: معتقد است که شوهرش دارد به او خیانت می کند. I trusted him but he cheated me. من به او اعتماد کردم ولی سرم کلاه گذاشت. A: Don’t you have a better position for me? I don’t want to work as a computer operator. الف: پست بهتری برای من ندارید؟ من نمی خواهم به عنوان اپراتور کامپیوتر کار کنم. B: This is the only vacancy that we have at the moment. Take it or leave it. ب: این تنها پست خالی است که در حال حاضر داریم. همینه که هست.